Posted in Sports, Videos and tagged Bruins, Canadiens, Final, NHL, Score. Bookmark the permalink. Lawrence Taylor, “LT”, was sentenced to six years probation on the prostitution charges from earlier this year. No huge surprise here, but thought it was worth noting. Posted in Sports and tagged Arrest, Lawrence Taylor, Probation, Prostituion. Bookmark the permalink. 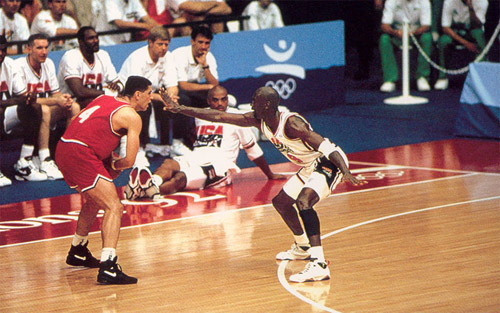 So the shoe that won Jordan his second Gold medal has a release date, of March 26th. In a fresh new “Orion Blue” colorway, these shoes really pop. A little back story on the Jordan VII, these were designed by Tinker Hatfield, the designer for Jordan III -XV. The first of it’s kind, it had a neoprene sock-liner to add more ankle support and with a combination of that and Huarache technology, the shoe was comfortably “stuck” to your foot. Add to an already light shoe and it’s no wonder why these guys still sell 19 years later. Pics of the new colorway after the break, and go grab these where ever fine shoes are sold on March 26, for $150-$175. Good looks to Ant on the info. Posted in Lifestyle/Fashion, Sports and tagged Air Jordan, colorway, Jordan VII, Michael Jordan, New, release, shoes. Bookmark the permalink. Space Jam. We all saw it, we all loved it. 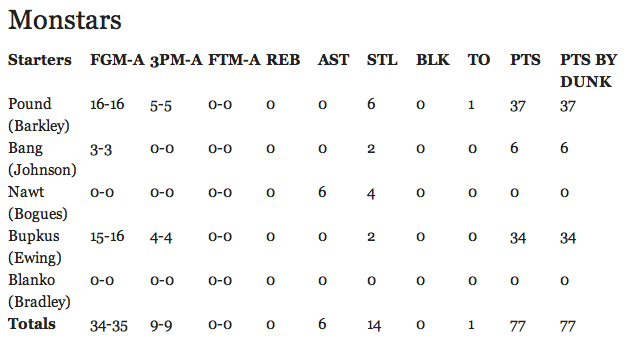 But have you ever thought about the actual scoring in the game? Well, I didn’t either, but luckily the guys over at Deadspin helped us all out by documenting the entire event. 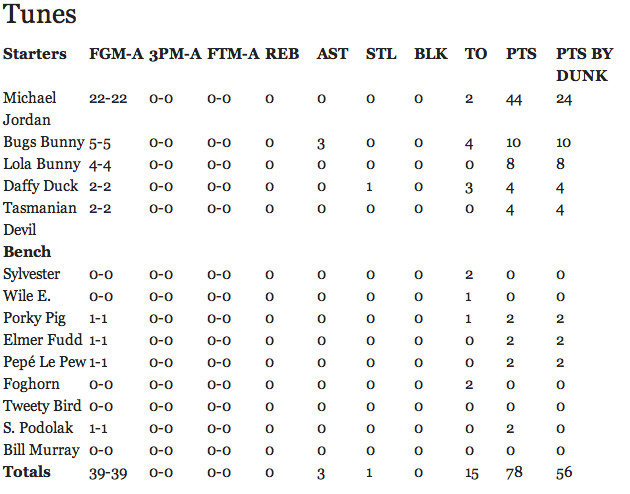 Thanks to them, we now have a box score, and some other interesting facts deduced with help of the stats. Head on over there to the full story, and enjoy. And yes, the scouting report points to Shawn Bradley not even being decent as a purple cartoon alien. One thing I have concluded is that the Tune Stars definitely had a better all around rotation…. their bench is huge. And apparently Jordan loves to dunk while playing fictional characters. Posted in Sports, T.V/Movies and tagged DeadSpin, Michael Jordan, Monstars, Space Jam, Tunes. Bookmark the permalink. Ok, so to get in on the March Madness excitement EA has held a contest to determine their cover athlete. I assume that EA thought this would make a good enough distraction from the point that without an NFL season, there is no Madden 12. Oh well, we all know that the league will be back soon, but still, quite ballsy to even print anything before anything is signed. So the deal is every player is ranked, like March Madness, and there will be weekly votings done through EA and ESPN’s site. The final player who gets through each round will be awarded the role of cover athlete. So go out and get Hakeem Nicks on the map people, we need to have a Giant on the cover this year. Do work. 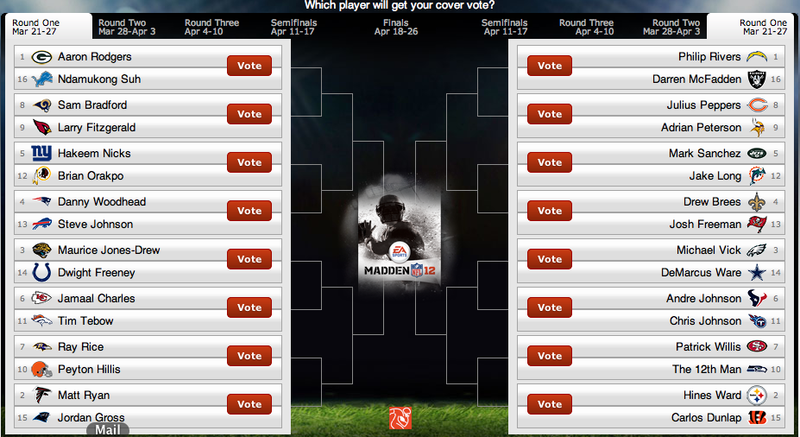 Posted in Sports, Technology and tagged Contest, Cover, EA, ESPN, Madden 12. Bookmark the permalink. Posted in Sports and tagged Hurt, Smooth move. Bookmark the permalink.